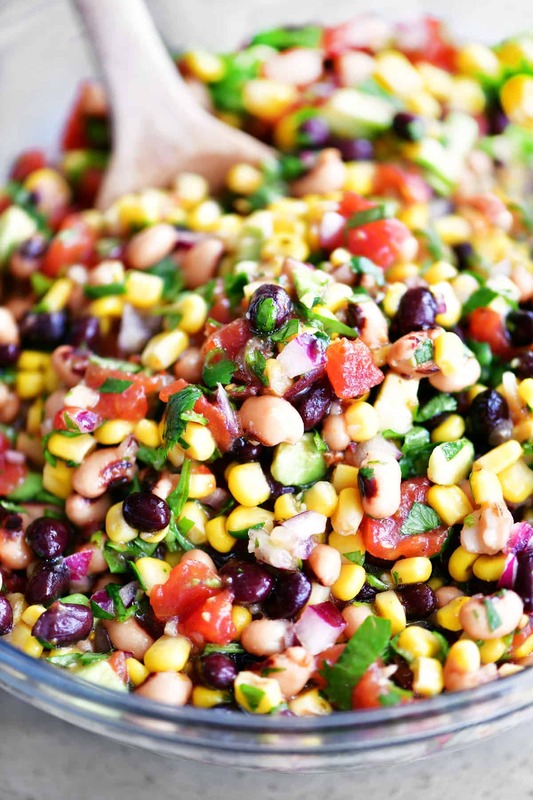 Cowboy Caviar is a healthy appetizer that is perfect for parties! 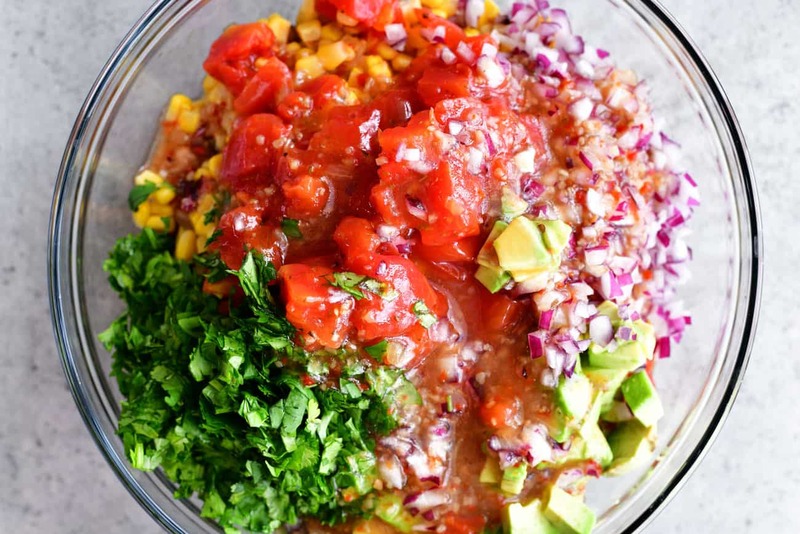 Serve as salsa with tortilla chips or as a flavorful side salad with chicken and fish. I was visiting with the receptionist at our dentist’s office recently while my daughter was getting some work done on her teeth. We were talking about recipes. She said she was taking a trip home to Texas to spend some time with her family. As we were visiting, she told me that she was bringing Cowboy Caviar to share at a family dinner. I had never heard of Cowboy Caviar so I asked her what it was and how you make it. Of course, I had to try making it and now it has become one of my favorites! Where is the Cowboy Caviar recipe? In this post, I will share step-by-step instructions with photos for how to make the salad, as well as answering FAQs about the recipe and sharing a short video showing the recipe in motion. But you can go directly to the recipe by scrolling down to the bottom of the post. Cowboy caviar is a tasty combination of beans and vegetables. 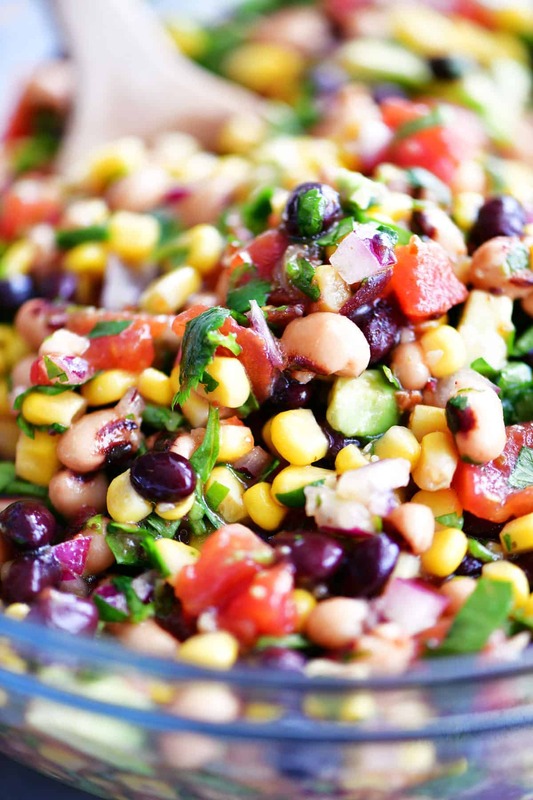 It is also known as southwestern black bean salad, Texas caviar, and cowboy caviar salsa. One of the reasons cowboy caviar is so popular is that it is so versatile! It can be served as a salad for a side dish, it can be served with chips as an appetizer, or it can be used as a salsa with tacos or on top of chicken and fish. What Is Cowboy Caviar Made Of? I make mine with black beans, black-eyed peas, corn, tomatoes, onions, avocados, cilantro, Italian dressing, and lime juice. Other vegetables can be included such as diced bell peppers, chopped cucumbers, sliced green onions, minced garlic, jalapenos, or green chilies. Or add diced fruit like pineapple or mango for a sweeter version. 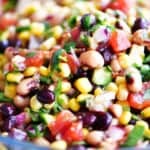 Cowboy caviar is one of the easiest appetizers to make! All you have to do is pour all of the ingredients into a large bowl and pour the dressing over the top. The part that takes the longest is chopping the onion and cilantro but even that is easy. Then, stir until everything is combined. Cover and store in the fridge until ready to serve. You can eat the cowboy caviar immediately after making it but it tastes better when it has been refrigerated for an hour so it can chill and the flavors can blend. 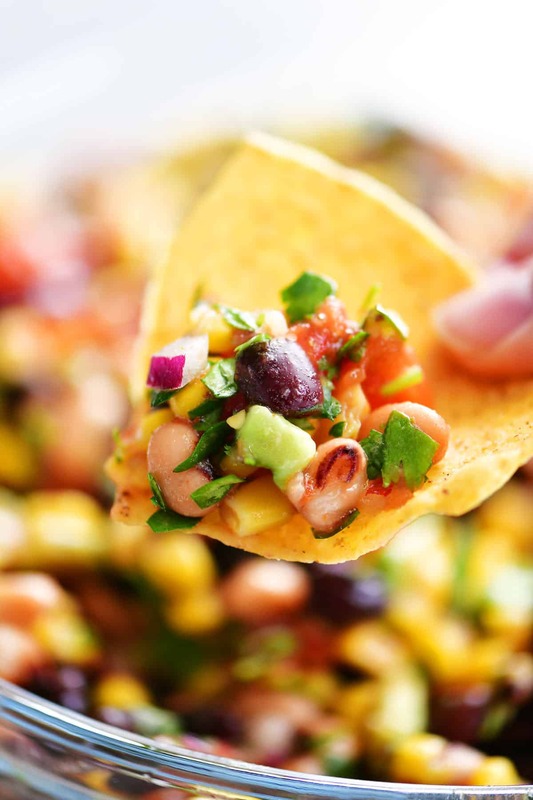 Serve the cowboy caviar with your favorite tortilla chips or corn chips. 1. What beans should I use to make cowboy caviar? This recipe calls for black beans and black-eyed peas but you can use any combination of your favorite beans. 2. What kind of corn is used to make cowboy caviar? I used a can of sweet corn for this recipe. You can use shoepeg corn, mexicorn/fiesta corn, fire-roasted corn, frozen corn, or even corn that has been cut off of the cob. 3. 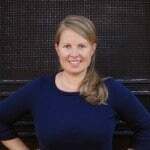 Is cowboy caviar healthy? Yes, cowboy caviar is full of beans and veggies! You can use light Italian dressing to make it lower in fat and calories. 4. Is cowboy caviar gluten free? Yes but always double check the labels of the ingredients you add, especially the Italian dressing. Grilled veggies are a fabulous addition to cowboy caviar! This Grilled Cowboy Caviar recipe is a flavorful, healthy appetizer that can also be served as a salad side dish. Pineapple Salsa is a delicious combination of sweet and spicy. It can be served with grilled chicken or fish or as an appetizer with chips. Pour all of the ingredients into a large bowl and stir until combined. Cover the bowl and place in the fridge. Allow the flavors to blend for about 1 hour before serving. This looks so good. I will have to try it! 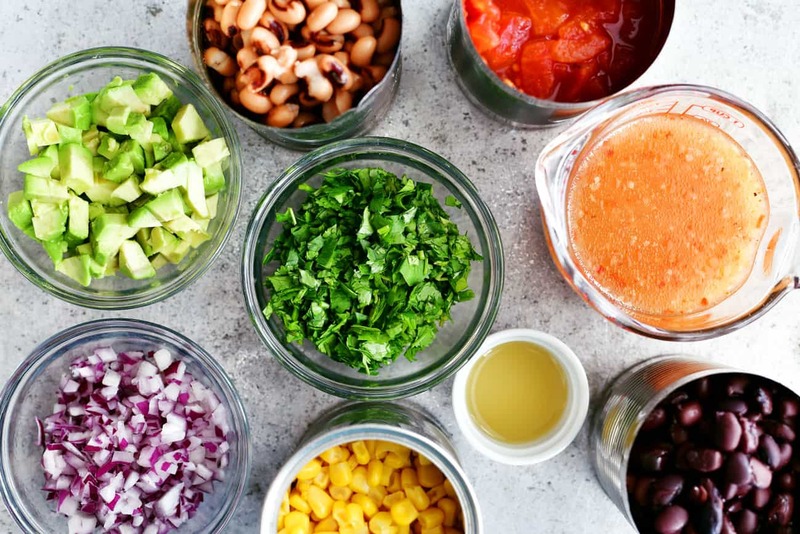 2 cans shoepeg corn 1 can each of pinto, garbanzo, and black beans, half a red onion finely chopped, half green bell pepper and half red bell pepper finely chopped, 3-4 jalapenos finely chopped, one jar of pimentos. Combine in large bowl. Heat until boiling one cup veggie oil, half cup apple cider vinegar, half cup sugar. When sugar is dissolved turn off heat and cool slightly. Pour liquid over beans and veggies. Mix well. Cover and place in fridge over night for flavors to marry. Eat with Tostinos resteraunt style chips or use as summer side salad. All of us over here have had both versions and agree this one is better in flavor vs the italian dressing version. Yes, drain and rinse the beans after opening before you combine them. Dragonfly — This is the recipe that I make and it is soooo addictive! We use it as a side dish in our house and for parties. I use the same beans, sometimes different beans to my liking, but it pretty much tastes the same. The apple cider vinegar/sugar/oil mixture is to die for. I think I might want to use it as salad dressing! I love Cowboy Caviar! Costco sells it too & it’s yummy from there! Cowboy Cavier is new to me too but it has almost all of my favorite things in it. Pinning bc I want to try this for sure! Sounds awesome! You always have the tastiest sounding recipes here, I love it! Oh, this sounds sooo yummy! I love tortilla chips so anything new to put on them is always welcomed. Mmm yum. I’m not a fan of onions, so I would leave them out, but everything else sounds divine. Have you tried the Tostitos Hint of Lime tortilla chips? Crazy addictive.